A hexagon shaped halo engagement ring setting for the diamond of your choice. The center stone is surrounded by bezel set round diamonds on each corner of the hexagon with alternating green emerald baguette cut stones followed by a double row pave set petite band. 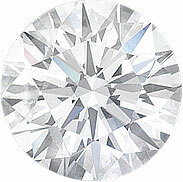 Shown with a 1 carat round center diamond.